Nellie's Choice - Dada Baby Dies "Baby Mobile". This adorable mobile is a perfect addition to any baby themed project. Perfect for baby showers and birthdays. This mobile shows a star, moon and two elephants. This die measures 1.75 x 2 inches. 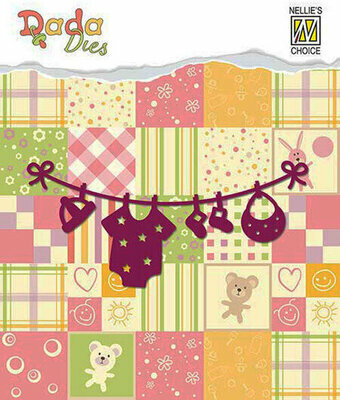 Nellie's Choice - Dada Baby Dies "Clothes Line". This sweet clothes line with baby accessories is a perfect addition to any baby themed project. Perfect for baby showers and birthdays. This clothes line includes a bib, socks, hat and onesie. This small die measures 3.25 x 1.5 inches. 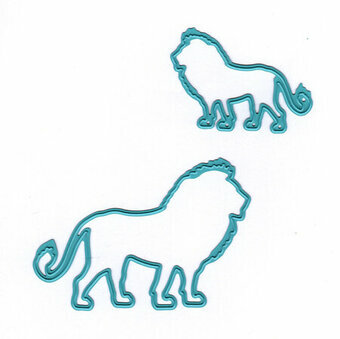 These dies from Nellie Snellen are a wonderful way to add an extra design to any paper project. Shape Die Lene Design - Christmas Frame. These shape dies cut a frame adorned with a decorative accent image. Size: 3 1/4" x 4". Stained Glass Dies "round with shining cross". 5 Christian themed dies. 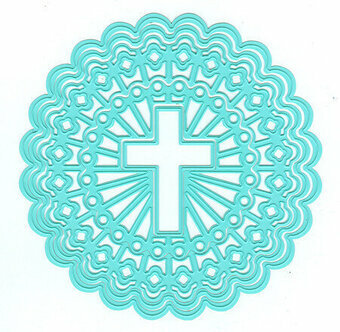 2 circular background dies (4 3/4", 4 1/2"), 2 circular overlay dies (4 1/4", 2 3/4"), 1 cross die (1 3/8" x 2"). Vintasia Die African Lion. With this new series of dies from Nellie's Choice you can have fun mixing and matching the safari animals and incorporating them into a scenery card. They come with one larger and one smaller dies. The dies cut out the shape leaving the center piece solid. Works great as silhouette dies. Easy to use in cutting machines. Size: Large approx. 3" x 2", smaller approx. 2" x 1 1/4". Vintasia image dies "unlock your heart". 3 Dies. Sizes: 1.25" x 1" to 2.5" x 3".